Order your Tama HB5W Hardware Pak HC63BW X2 /HH205/HS60/HP2 from AMS and enjoy 0% Interest Payment Plans, Free Shipping, Free Extended Warranty & 45 Day Money Back Guarantee. Absolutely excellent quality medium weight hardware. 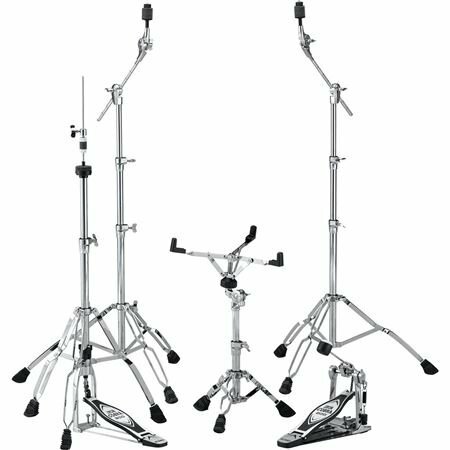 The booms stands provide precision placement of cymbals and the hi-hat is very smooth and sturdy. The Iron Cobra 200 pedal is very good for pedals in this class and I actually favor it over some of my pedals that cost twice as much. The snare stand is good as well. All in all, this set represents an excellent value. You'd be hard pressed to find anything else in this price range that even comes close. Absolutely perfect for my grandsons kit. Tama never disappoints in the quality of their products! One word...."" Excellent "" !! !